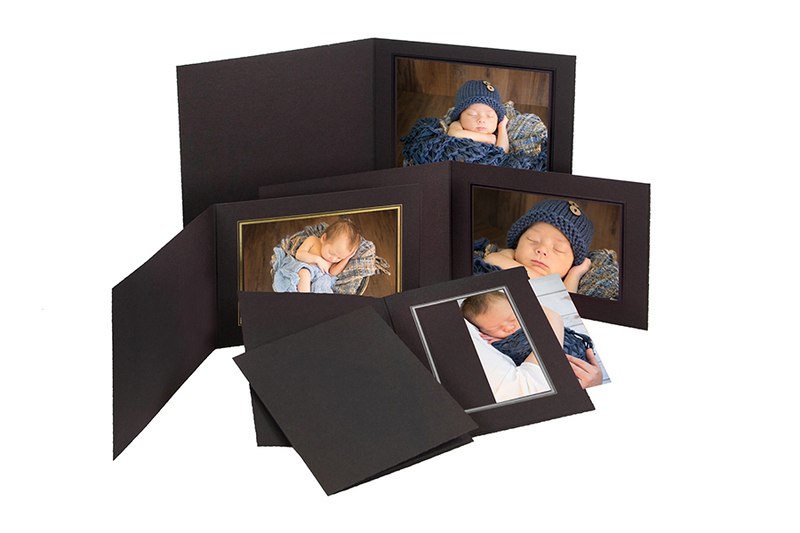 The Profit Line T-50 portrait folder, is an easy way to enhance your photos at an affordable price. The Profit Line T-50 is a great way to present your portraits to your clients in a professional manner while keeping your costs down and your profit margins high. Don't forget to add foil imprinting to this photo folder with the name and date of your event or your studio die. Slip-in side loading folder with a deckled edge detail. Comparable to other high end recycled portrait folders but priced 10-15% less. Black with gold, silver or black foil border. Customers who purchased a Profit Line T-50 Folder also purchased these items.